Hello there, tacticians! I’m Arthur Protasio, narrative director for Sword Legacy: Omen. 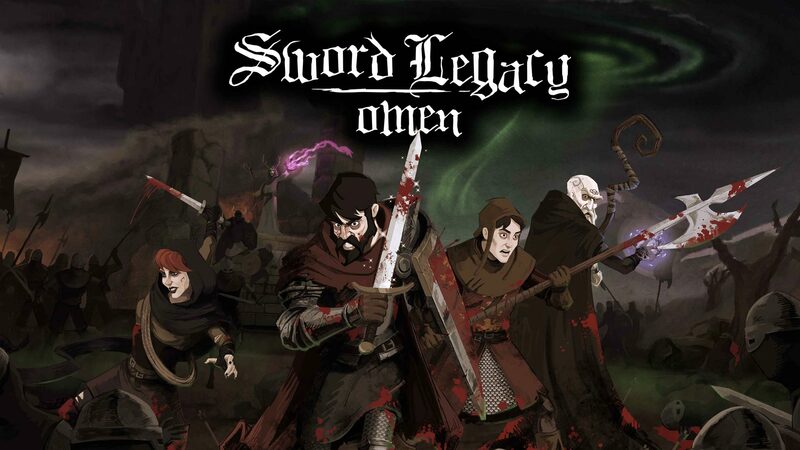 As you’ve probably noticed, Sword Legacy: Omen is a turn-based tactical RPG. Therefore, for this inaugural developer blog post we’re going to talk about why we chose the strategy genre and what great inspirations motivated the team to head in this direction. Strategy games have always drawn our attention because we all love the thrill of a good challenge. The genre is known for driving players to plan ahead, but also requiring them to improvise. Thankfully, this is also the sort of experience where you often find a great story, character development and twists. Our favorite games in the genre are the ones which combine tactics and story so well. The success of The Banner Saga’s Kickstarter campaign in 2012 made it clear there was room for indie turn-based strategy games – not just big AAA titles. With this in mind, and inspired by other hits of the genre like XCOM or Shadowrun, we decided to tread this road and create a challenging, yet immersive experience of our own. Thus, work on Sword Legacy: Omen began in 2014. As we near the release of Sword Legacy: Omen, we thought it would be insightful (and fun!) to look back at some of the great games in the Strategy RPG genre which inspired us. If you also enjoyed these games then we definitely think you’ll have a good time with our game! The Banner Saga has a very particular, appealing art style, which is western and unlike the anime visuals of JRPGs. Our aesthetic is totally inspired by classic Disney animations from the 1950s and 60s, but we made sure to apply a twist. Same thing when it comes to the story. Banner Saga has an epic tale and we too, but instead of delving into the viking world, we decided to put a spin on the famous King Arthur mythos. In both the classic XCOM and its remake, we loved the tension of going into combat and never really being sure if we’d come out unscathed… Or alive. We also incorporated the Overwatch system into our combat – which works great with ranged combat; however, in the case of a medieval game full of melee attacks, it’s not always the best option. Use it wisely! What we learned the most from Darkest Dungeon was the stress system and how to apply the effects of fear into the game mechanics. Sword Legacy’s stress system is a mix of Banner Saga’s Willpower with XCOM’s and Darkest Dungeon’s panic mechanics. Shadowrun doesn’t just tell a great story, it also demonstrates a great freedom to explore scenarios. Similarly, Sword Legacy: Omen has an exploration mode which allows players to freely roam about levels, but then changes into a turn-based mode when combat is initiated. Final Fantasy Tactics is a true classic – and a great example of how to tell a mature story through a strategy game with a cute art style. This game survived the test of time and revealed to us the potential of telling a good story through challenging combat. That’s all for today, folks (and faye)! I hope you’ve enjoyed this look at the games that inspired Sword Legacy: Omen. What are some of your favorite Strategy RPGs? We’d love to know! Why not hop over to the Steam forum or our Discord channel and tell us? Stay tuned because next time we’ll talk about the game’s skill system! Want to hear more about Sword Legacy: Omen? Follow us on Facebook and Twitter for regular updates!